Since the iPhone finally has wireless charging it was time to look for a new car cradle with built in Qi. The iOttie Easy One Touch 2 that I bought back in 2015 is still going strong 3 years later. Family members have bought more of them over the years too and the’ve always proved to be great so we went looking to see if there was a wireless version of the brand we trusted. 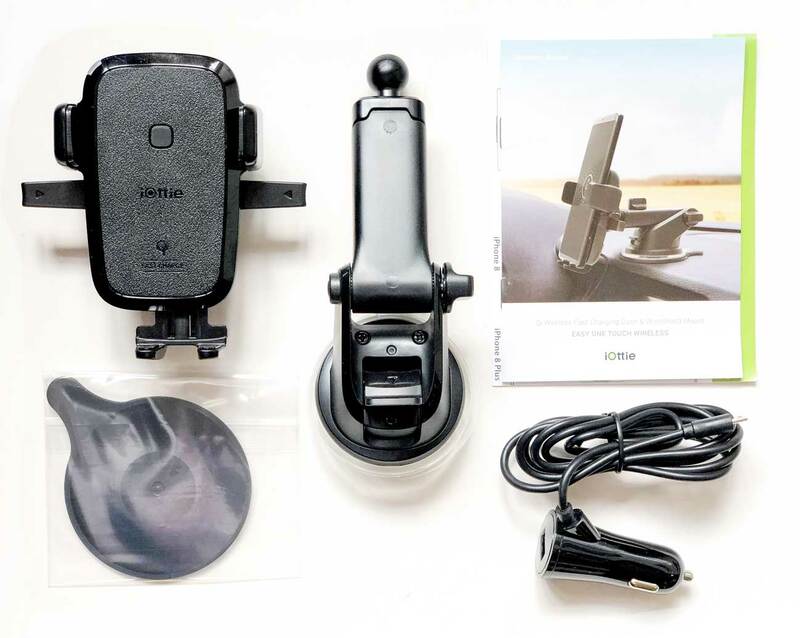 Luckily iOttie have released the Easy One Touch 4 Qi Wireless Car Mount (Model HLCRIO134) and it’s just what we needed. The new wireless fast charging dash and windscreen mount uses the same type of super-strong re-usable gel sucker and the patented Easy One Touch Mounting System thats also on my v2 cradle. The kit comes with everything you need including a self-adhesive plastic disk that allows the sucker to mount on surfaces that aren’t smooth, like your dashboard. Installing it in our Milk Float went without a hitch. The arm is telescopic and pivots 225°. You need to move the bottom feet in and out to ensure your phone’s wireless charging coil lines up correctly with the one on the iOttie unit. Although the cable is long enough to reach from the 12V power outlet to the dash it would have been nice to have maybe another metre or so of wire to allow me to find a more hidden route. Luckily the cable is not hardwired into the cradle so you can easily replace it with any micro USB lead. Handily the 12v cigarette adaptor has a USB socket on the back to you can plug in other accessories too. iOttie say it will hold all phone and case combinations from 2.3” – 3.72” and is compatible devices such as the Samsung Galaxy: S9, S9+, Note 8, S8, S8+, S7, S7 Edge, Note 5, S6, S6 Edge, iPhone: X, 8, 8 Plus, LG: G6, LG G6+. 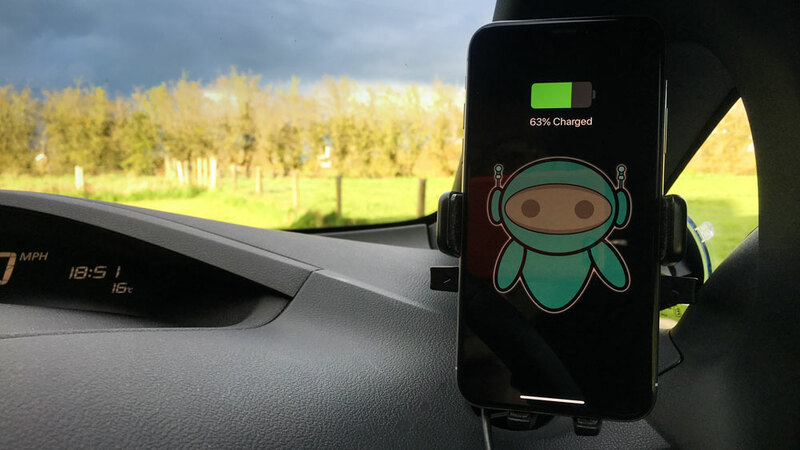 The iOttie Easy One Touch 4 Qi Wireless Car Mount is available now from around £40. Be the first to comment on "Useful Gadget of the Week: iOttie Easy One Touch Wireless Qi Wireless Car Mount"